Certified. Candy White 2013 Volkswagen Jetta SportWagen 2.0L TDI MULTI POINT SAFETY AND MECHANICAL INSPECTION PERFORMED BY CERTIFIED TECHNICIAN, DETAILED INTERIOR/EXTERIOR FOR DELIVERY, Volkswagen Certified Pre-Owned, Bluetooth Hands Free, GREAT VALUE, VERY LOW MILES, FUEL EFFEICENT, 2.0L TDI Diesel Turbocharged, 6-Speed Automatic DSG, Candy White, Titan Black w/V-Tex Leatherette Seat Trim, 10 Speakers, 17" Alloy Wheels, Brake assist, Electronic Stability Control, Navigation System, Power moonroof, Remote keyless entry, RNS 315 Navigation System, Security system, Speed-sensing steering, Steering wheel mounted audio controls, Variably intermittent wipers. CARFAX One-Owner. 29/39 City/Highway MPG New Price! 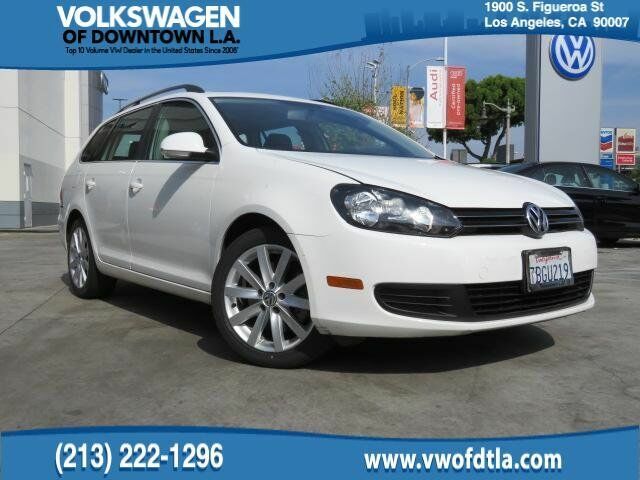 FWD 2.0L TDI Diesel Turbocharged 6-Speed Automatic DSG Clean CARFAX.